There is a continual fascination with the titled classes in England; even more so in recent years what with the Royal Wedding and Royal Baby and the pomp and circumstance surrounding these events. 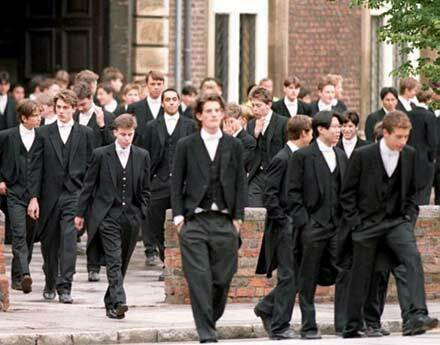 While many English people might dismiss the idea of the hierarchal social class system, it is still in force to a large degree and follows a complicated set of rules and behaviours. Unlike other countries around the world, the issue of social class is not based on money, and even if one is immensely rich, it does not mean that you are able to migrate into a different class or social standing. In London, the situation is somewhat easier, because it is a cosmopolitan city and has a large population of people who are not English, but it is still wise to have an understanding of how the English social class system works, just in case you are invited to Buckingham Palace to visit a member of the Royal Family. Having a ‘title’ in England does not mean that you are a member of the Upper Classes. (Just ask my mother, who reigns supreme on the topic that our title was not ‘purchased’, despite having several dodgy characters and an Australian in our family tree). The Upper classes in England are still a closed society and it is nearly impossible to gain entry unless you have been born into the system. Traditionally, the upper classes were people with titles, or landed gentry. The upper classes have a different way of raising their children and the entire social structure is in a ‘class’ of its own, so to speak. One of the distinctive features is where one is educated. This is more important than the actual level of education that is attained. A Nanny will raise most upper class children at home, before attending one of the prestigious prep schools before moving onto public schools such as Eton, Harrow, Charterhouse, Winchester, and for girls, the prestigious Cheltenham Ladies College. These schools are the equivalent of the Ivy League prep schools in the United States, such as Trinity School in Manhattan, St. Paul’s in New Hampshire, and Lawrenceville. Tertiary education is a different matter. Although many children from upper class families do attend universities such as Oxford and Cambridge, it is also common for members of Royalty and the titled to spend a number of years in the Armed Forces, firstly attending the officers training course at Sandhurst Military Academy. If you do have the honour of meeting the Queen, please wait for her to address you first and address her as “Your Majesty” if it is for the first time. After that, you may call her “Ma’am”. You will not be expected to curtsey if you are not a citizen of Great Britain. While this might sound a little odd and give rise in pictures of a very different kind of ‘gentlemen’s club’ in other areas of the world; living in London means that you’ll experience the concept of a Gentlemen’s Club at least once, and it might be a good idea to understand what it is if your new boss or one of the city bosses asks you to his ‘Club’ for lunch one day. The history of gentlemen’s Clubs stretches right back to the eighteenth century with the formation of several private and member’s only clubs in London. They were mostly set up by the gentry and the upper class titled members of society. Until fairly recently no women have been allowed although some clubs have relaxed their gender rules to admit women as members. They have become popular in the upper middle classes and many business men in London are members of a number of clubs where they go to relax away from the city and the business world. Talk of business or the carrying out of business is strictly discouraged, and some clubs today do not allow mobile phones or laptops onto the premises. Despite this, a gentlemen’s club is where a large proportion of business is discussed and informal agreements are often made over a handshake. The original London clubs such as White’s or Boodles were for the titled gentlemen of the era. While they may have seemed to be ultra respectable, there was a fair amount of gambling and gaming that occurred on a nightly basis, as gambling at the time was illegal if it was not in a member’s only club. The popularity of these clubs rose during the nineteenth century until there were over 500 of them in London alone. Many of the clubs came into existence because of the member’s interests or political bent and have remained so until today, excluding members who do not fall into the narrow regulations of the club statutes. Even today, you cannot merely apply for membership of a club; you have to be proposed by another member who vouches for you and your ‘gentlemanly status’. In some of the top clubs there is a membership waiting list of years and then there is still the possibility of having your membership refused. In the strictest clubs there was a system called ‘blackballing’ which is when the member who proposed you for membership resigned if your membership was not accepted. It made sure that only the best were accepted! 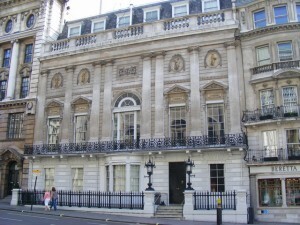 Being a member of one of the establishment clubs in London is of course pretty meaningless in the world of business today where result matter more than your family connections, but in London there is a particular quirk that still exists in business which is that of the members of the different clubs being more open to business deals with other members. Most of the people who join clubs today do so for a status lift and the modern clubs are far less rigid and operate more like modern business centres with food and drink in convivial surroundings that the upper class snob factor that used to permeate the streets of St. James.